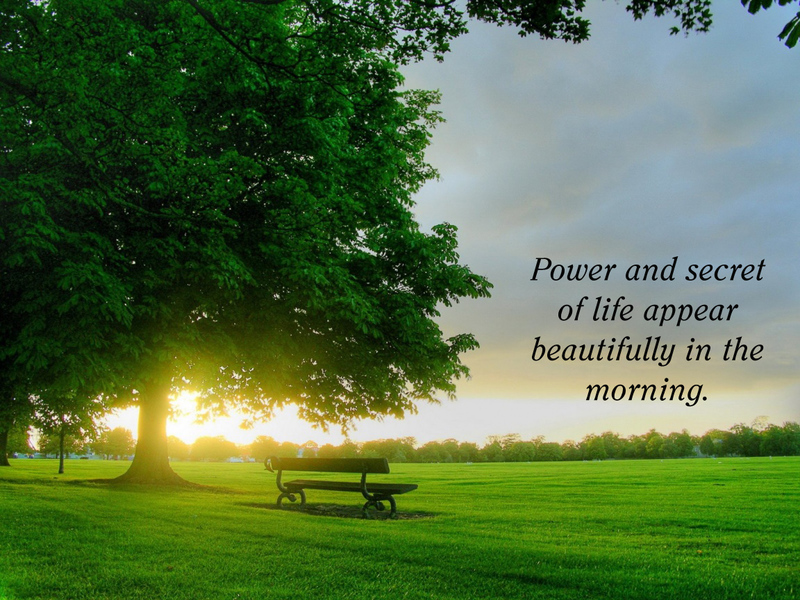 Do you know that morning is the most powerful time of the day for every human? You must have heard breakfast is the most important meals of the day, morning sun gives you Vitamin D, doors of wealth opened up in the morning, birds start their life when the sun rise, your throat chakra and relate to the thyroid system energized well in the morning especially before the sun rise and if you exercise in the morning, you would feel productive throughout the day. Morning life does not just give you all above. It gives power to your mind and emotions. Activities that you do in the morning have great affect to your body, mind and emotion. Many people didn’t realize how some unnecessary rituals in the morning could affect your being throughout the day. Here are the lists of the unnecessary things you should avoid early in the morning. If you enjoy reading newspaper early in the morning, avoid reading tragic and death story like accidents. Story like this sell the newspaper but didn’t give contribution to the victims and to the readers except the power to create more accidents through the imagination. Not just that, each story creates sadness and this feeling will be remembered as part of the feeling you own to yourself. Bit by bit of this feeling will be carried throughout the day and contributed as unnecessary feelings to your emotion. Read inspiring story or business news instead. Every great people in the world do not spend their morning with sleeping. Instead, they work their masterpieces during the morning hours. Great people and achievers know that morning has power that gives them momentum to keep moving. If you have a dream to achieve, first thing first; wake up early in the morning and turn your dream into reality. If you really need to catch some sleep, take a nap for 20 minutes in the early afternoon. I used to disagree to this because I love coffee in the morning. But here’s the fact, coffee dehydrate the body. When your body feel dehydrate, you started to feel sleepy and tired. In keeping you moving throughout the morning, coffee is not the best drink to have. The best drink is plain water. Water help stimulate the power and life you get from the morning energy. Second of all, coffee is best to be enjoyed slowly and when you feel sleepy in the afternoon. So go for the coffee after your lunch break, not early in the morning. Anything that you can wait from complaining, it’s worth the wait! Do not spend your morning energy on complaining especially on the unnecessary things like complaining about your boss, complaining about the traffic jammed, complaining about the foods you have for breakfast and so forth. Complaining drains your energy easily. Complaining stops wealth from coming to you. If you really have to say something, say it in a request manner, not complaining. 5. Talk About Yesterday’s Unfortunate Events. People who talk about yesterday’s unfortunate events will always have problem to move forward in life. What had happened in yesterday, stay in yesterday. Do not waste your beautiful morning life on things that already happened in the past. Morning gives new life to every creature in the Universe including You. It gives you opportunity to start new every single day. Start it with lots of smile. If you have to resolve a conflict or problem that tie to the unfortunate event, do it positively and not emotionally. It helps you cut the cord between you and the unfortunate events easily.